The top two qualifiers will be locked in. They’ll hold that position for the duration of the week. In addition, the fastest two open cars (non charter holders) are locked into the Daytona 500 next Sunday. The rest of the field will be set with the Daytona duel races this coming week. For now, only the front row of the Daytona 500 will be set in stone with today’s qualifying results. The top 12 are set as we head into round two of single car qualifying. If Jimmie Johnson sets the pole, it will be Hendrick Motorsports’s fifth in a row. That would be a record breaking result. A little bit of rain is falling on the speedway as the final round resumes. It’s not enough to soak the track but it’s enough to rest on the windshield of the car on track. Daniel Hemric is the car to beat so far in round two. Jimmie Johnson is on the track. He jumps to the top of the board! Johnson picked up two tenths from his round 1 time. William Byron goes to the top! 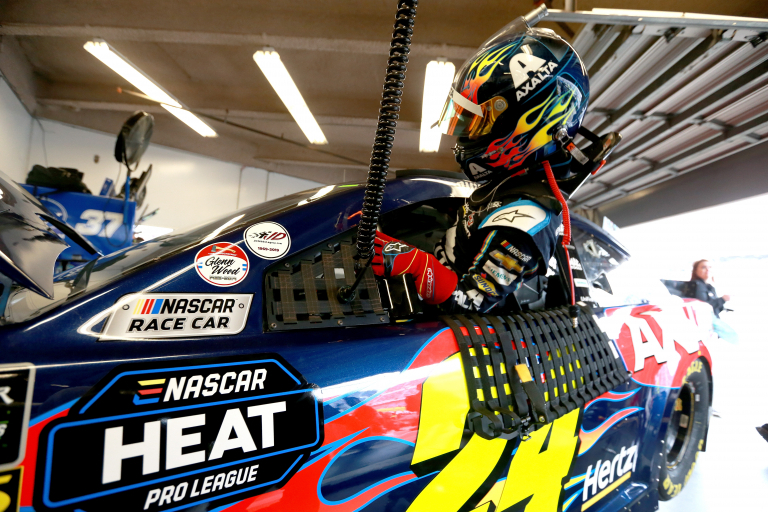 Hendrick has the front row locked with just a one car remaining. It’s another Hendrick car, Alex Bowman. 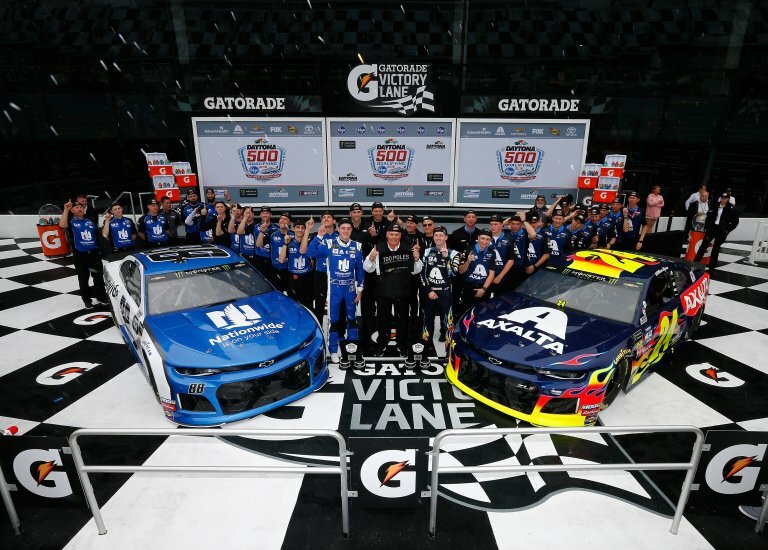 William Byron takes the pole for the Daytona 500! It’s his first race with the new crew chief of Chad Knaus. The Daytona 500 has not been won from the pole position since Dale Jarrett in 2000. Jeff Gordon also pulled it off in 1999. The cars are now impounded by NASCAR until Thursday. They will be unloaded ahead of the Daytona Duels. View full 2019 Daytona 500 qualifying times below.